The “correct” answer, as conferred by industry pundits, seems to reverse itself every four years or so. Sometimes we’re in a “decade of consolidation” and other times we find ourselves in an “era of fragmentation.” Having witnessed this waxing and waning of the “right” way to do it for 20 years, it’s safe to say that it’s not a one-size-fits-all situation. Everyone has his or her own unique set of needs. In a lot of ways, choosing an agency model is like choosing a computer: Some people want a Mac, and others, a PC. A Mac is a closed system. Apple makes the software and the hardware. It’s all built to run together, making it seamless and bug-free. It might not do everything, but what it does do it does extremely well. Brand marketers that lean toward the Mac way of thinking prefer to have one agency do everything, including media. “Mac clients” see value in simple, seamless execution of ideas from their agency, and structure their agency model accordingly. They want their media dollars to have a degree of fluidity so they can be shifted to support ideas in the most appropriate channels, and they don’t want to spend their lives on the phone, on email and in meetings disseminating information to 15 different agency partners. For them, the idea is king, and from the idea, everything else will follow. PCs are open systems, which means they’re much more customizable. You can choose different hardware, different software, different everything. Want better graphics? Swap the card. Want five DVD drives? Not a problem. If you don’t mind a little troubleshooting, you can build a PC to do exactly what you want. “PC clients” usually have unique needs, either from a deliverable standpoint or from a structural one, and often both. Whether they’re an airline that needs to rebuild their ticketing engine or an e-retailer that gets 90% of their business from search, their business has certain requirements that cannot be met by a generalist agency. 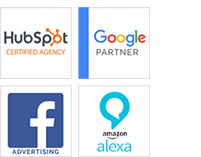 These brands may also be structured in such a way that certain divisions of their business have a wide degree of autonomy, which means that they’ll want to hire their own agencies based on their own set of criteria. For the PC client, having a roster of extremely qualified partners whose work is best-in-class is paramount. So how does this line of thinking affect the way agencies build their businesses? For startup agencies, it’s likely that all of their early clients will be PC clients. From an overhead standpoint, it’s very difficult for a new agency to be a multi-tentacled generalist right out of the gate, and even if it was, clients are much less likely to take a gamble on their entire business with an unknown quantity. Better to start off as a hyper-focused specialist and build a niche with a large group of PC clients. This is exactly what every “so you want to start an advertising agency” book will tell you to do, but there’s a problem: Many agencies with a roster of mostly PC clients grow dissatisfied with the fragmented nature of their client relationships. They see the fruits of a highly synchronized, strategically cohesive, idea-focused approach. The budgets are better, the clients seem less bureaucratic and the work feels more high-profile. Down the road they can often be seen trying to shed the label that got them where they are. So then, better for agencies to focus on Mac clients from the get-go, right? Well, that puts them in a highly undifferentiated bucket of 20,000 agencies in the U.S. who are all trying to do the exact same thing. Young generalist agencies will find themselves spending the first two years of their existence trying to craft mission statements that seem to imply that they have a specialty without ruling any disciplines out: “We’re a digitally native traditional agency,” “Traditionally minded, digitally savvy,” etc. Also, depending on the way the industry wind is blowing, being labeled as a generalist can make an agency sound like a dinosaur.